Taxidermy is, for me, an artistic 3-D re-creation of a fantastic hunting experience. I never tire of the satisfied smile on my client's faces when they see their beautiful animal...again. Keep Safe and good hunting! Coues White-tail offset shoulder mount on a desk-top plaque. From caring for your tanned hide to professional mounting, detailed finishing work and habitat creation, we take particular care of your hard-earned trophy and important project. At Tucson Taxidermy, exceptional taxidermy is transformed into unforgettable wildlife artistry.
" We would have no hesitation taking another animal in for mounting should we ever take another in a hunt. We are very pleased with the way they conducted business, and they are very good people as well, certainly a plus." " I went to Tucson Taxidermy recently...I couldn't be happier with the result. Howard was friendly, courteous, professional, and his communication was great! He took a good 90 minutes to sit down and talk to me about exactly what I wanted, and he hit the mark perfectly." Taxidermy is, for me, an effort to remember a fantastic hunting experience by recreating a semblance of a creature that I admire and strive to protect as a species. Proper, professional tanning of your trophy’s hide is at the foundation of every taxidermy project we undertake. At Tucson Taxidermy, we take no chances and no short cuts. We know that in order to keep you and your family coming back, we need to provide you with the best service and skill sets in the industry. From start to finish, we aim to please. This is the part of the process that separates the novice from the detail-oriented professional. Once your tanned hide is ready, it is applied to a state-of-the-art form that has been selected or modified to your specifications. 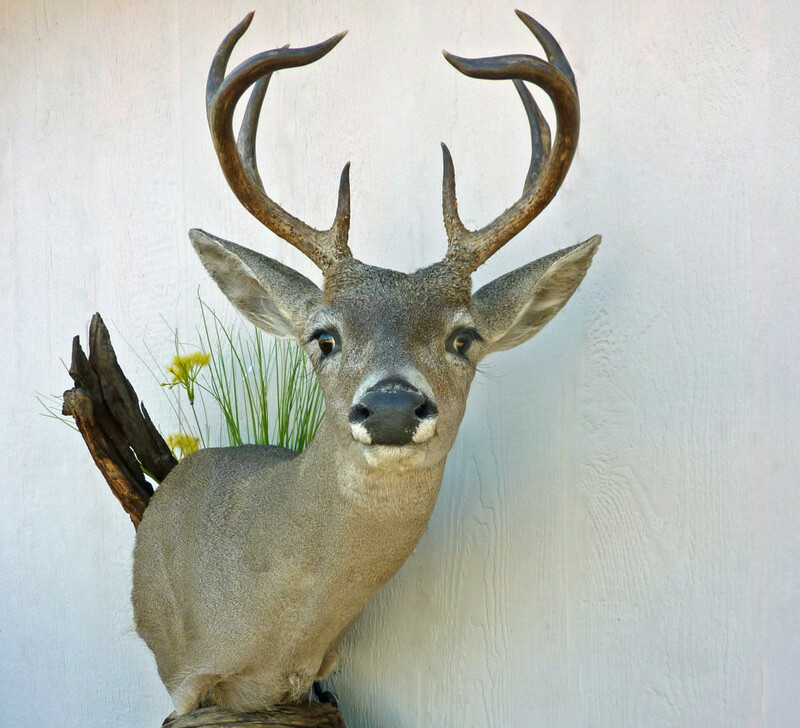 We at Tucson Taxidermy bring your hunt memories back to life with an end result that will keep you and your family coming back. 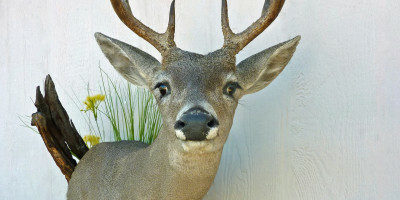 When a beautiful mount alone just isn’t enough, you have lots of options at Tucson Taxidermy. Whether it’s a floor pedestal, on your wall or gracing your desktop, we can create an unforgettable piece that will ensure your admiration as the years go by. Is your animal on a moss-covered log, next to a ‘no hunting’ sign on an old fence, or on top of a cracked, aging boulder? Your imagination is the limit.